Overseas remittances to Ho Chi Minh City are estimated at US$ 2.75 billion during the first eight months of 2014, a year-on-year increase of 6.2%. In August alone, around US$333 million was sent to the City, a two-fold increase over a month earlier, according to Nguyen Hoang Minh, Deputy Director of the HCM City-based State Bank of Vietnam (SBV) branch. The city expects to receive this year’s total overseas remittances of around US$4.8-US$5 billion higher than the 2013 figure of US$3.8 billion. 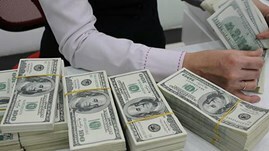 Vietnamese remittances have still consistently increased despite low dollar interest rates and an increase in the VND/USD interbank exchange rate by 1% in mid June.